2017 Awardee Alleluia Panis. Photo by Andria Lo. 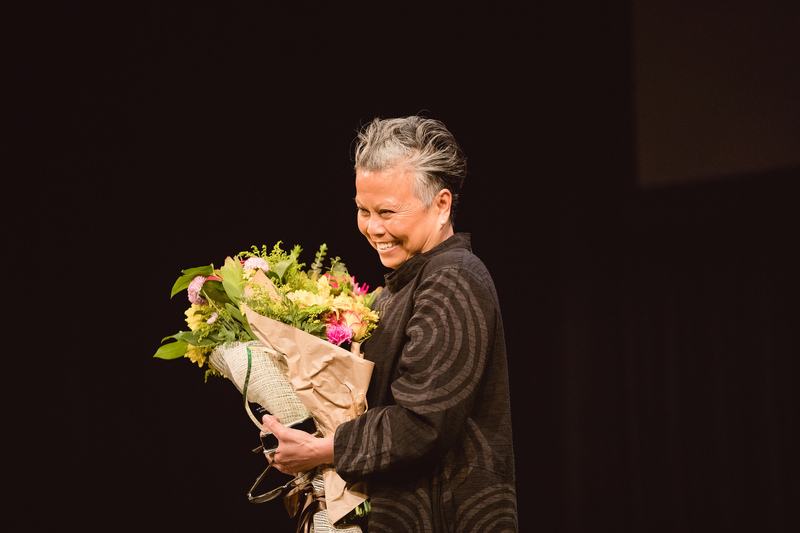 The Artistic Legacy Grant acknowledges the impact of an artistic director that has served San Francisco-based arts and culture organization consistently for 25 years or more. The awardee is recognized as a vital member of the community they serve and has a history of working to educate the broader community on the importance of their culture and/or artistic genre. Learn more about past awardees below. Patrick Makuakāne, founder and director of the Hawaiian dance company Nā Lei Hulu I Ka Wēkiu, is a creative force in the hula world and is well known for his vibrant and innovative choreography. Grounded in tradition and the fundamentals of hula, his artistry brings this dynamic dance form to a new level. He proves that tradition and evolution can coexist in surprising and meaningful ways. Founded in 1985, Nā Lei Hulu I Ka Wēkiu (“the many feathered wreaths at the summit, held in high esteem”) is committed to teaching and preserving Hawaiian culture through hula and educational workshops in Hawaiian language, history, arts and crafts. The company has performed throughout California and nationally. Alleluia Panis is the driving force behind Kulintang Arts, Inc. (Kularts) and a respected elder artist in the United States and the Philippines, at home in both Pilipino tribal and traditional arts and American contemporary forms. She has performed for over 25 years with various choreographers and companies and has created full-length dance theater works that have been performed on main stages in the US, Europe, and Asia. Alleluia is deeply inflluenced by indigenous Pilipino art and history. Her choreographic inventions are drawn from the exquisite articulation of Pilipino indigenous ritual dances, the muscular grace of the warrior Pilipino blade-fighting system, and the dynamic physicality of contemporary dance. A recipient of numerous grant awards, she has collaborated with various artists in theater, film, and dance. Alleluia Panis’s enduring legacy is that of a catalyst for the awakening of the indigenous selves of Pilipino artists whom she has mentored over the years.